Exciting changes coming soon to Extra Magic Hours at Disneyland Paris. 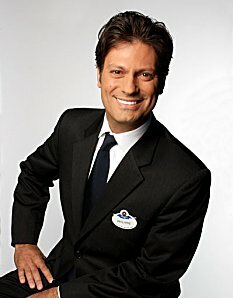 Over the last few weeks the Disneyland Paris on-line fan community has been buzzing with rumours circulating that the resort will be withdrawing its unique character meet-and-greets at it’s on-site Disney Hotels from November 2014. Our friends over on DLRP Today published a very informative article yesterday on all the rumours that have been circulating on Twitter, Facebook and on the fan forums. So what will be happening later this year I hear you ask? Well we asked Disneyland Paris for confirmation of the rumoured changes happening around the resort, and spokesman Mathias Dugoujon, from Corporate Communications was kind enough to fill us in on the exciting changes coming soon to Extra Magic Hours in the Disneyland Park. “In response to guests’ feedback that they wish to meet even more characters but not necessarily in our hotels, a new character experience will replace the current hotel presentations which will end in November 2014”. “By the end of the year Disneyland Paris will introduce a brand new Character Experience for Disney hotel guests to enjoy during Extra Magic Hours” – the exclusive service for Disney hotel guests that includes access to the Disneyland Park up to two hours before regular opening times and access to many attractions. “For the first time ever, a series of meet-and-greet opportunities will give Disney hotel guests an exclusive glimpse as how their favourite characters prepare Disneyland Park for opening”. Mathias went on to explain that there will be no changes made to the character buffets available at the Inventions restaurant at the Disneyland Hotel and to the character meals available at Café Mickey in the Disney Village. “Guests staying at The Castle Club in the Disneyland Hotel will also enjoy a new character experience during breakfast”. “The new character encounters represent yet another measure in our on-going quality improvement programme for hotel guests that includes the progressive refurbishment of our 5,800 rooms (since 2009)”. So there you have it, official confirmation direct from the European home of the Mouse on the exciting new changes coming soon to Extra Magic Hours at Disneyland Paris. Frozen produced by Walt Disney Animation Studios has been awarded a BAFTA for best animated film, beating Despicable Me 2 and Monsters University to the award. The films producers Chris Buck and Jennifer Lee thanked their crew, saying “it took about 600 people on this one – we had thousands of storyboard designs they had to draw and redraw”. They also acknowledged the voice recording from stars including Kristen Bell, as well as the computer rigging and the songwriters of the popular musical numbers from the film. 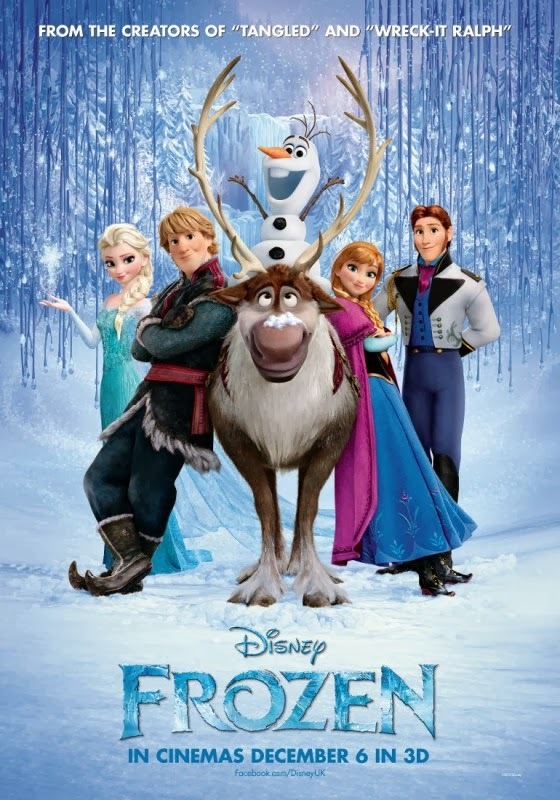 Frozen has already won a string of awards including the Golden Globe Award for Best Animated Feature Film, five Annie Awards (including Best Animated Feature), two Critics’ Choice Awards for Best Animated Feature and Best Original Song for “Let It Go”. The film is considered a frontrunner for an Academy Award for Best Animated Feature and Best Original Song at the Oscars in two weeks time. Three Questions to Philippe Gas, CEO of Euro Disney S.A.S. Yesterday saw the annual gathering of Euro Disney S.C.A. Shareholders at the Annual Shareholders Meeting and here are three questions that were put to Philippe Gas, CEO of Euro Disney S.A.S in advance of the meeting. Philippe Gas: This year’s economic context had a significant impact on the entire tourism industry. Nonetheless, its impact on our results was softened by investments made at Disneyland® Paris over the last few years. We saw a moderate decline in our 2013 revenues, of 1%. This was the result of the unfavourable economic situation in certain countries – particularly in southern Europe. The decline in theme park attendance was partially offset by an increase in average guest spending in both the parks and the hotels. A short fun report from the Euro Disney S.C.A. Shareholders Meeting. Andy from the DLP.info website had the opportunity to attend this years Euro Disney S.C.A. Shareholders Meeting held yesterday (12 February 2014) at Cinemagique in the Walt Disney Studios Park and here is his take on the meeting. Going to a Shareholders meeting, even if it is the Euro Disney S.C.A. general meeting, you can expect to hear the boring financial numbers. However the Disney fans still hope to get some news or something magical for the future. Even if it was just the opening date for the new Ratatouille attraction. But it was not mend to be and most of the 2 hours was related to the business side of the company. But it wasn’t all gloom and doom as we did get some fun stuff added in the mix. The start things off, and after we got the legal stuff out of the way, Philippe Gas, CEO of Euro Disney S.A.S. talked about the fiscal year 2013. As expected, Disneyland’s numbers are still in the red, but even then they can make it sound good with 22 million reduction in net loss, and blaming the crisis for a 7% loss in visitors. Of course this is all true and the majority of the shareholders attending seem to be in piece with it. The company is showing they are working hard to improve these numbers, even in these harsh times. Investing in the future is the key word. Already spend 510 million dollar in the last three years on quality improvement they are looking at the long term solution for the company. According to Philippe Gas there is some improvement in the crisis with possible growth in UK visitors, German visitors and the Middle East. Another group they are targeting is Russia. There seems to be a big market, ready to come over to Paris. Another positive note, even with lower attendance, was the overall spending of the guests; 4% more per guest in the park and 2% more per guest in the hotel. But enough about the numbers. We want the fun part and it was Tom Fizgerald who took care of it by talking briefly about Ratatouille, the new attraction for the Walt Disney Studios. It was a short presentation but it showed us some new artwork, parts of the attraction in the workshop, Computers and the ride vehicle. Most of these can be found back on the DLP.Info facebook page. Go and have a look for a series of pictures. The presentation ended with a short show. A bunch of dancing chefs, Remy and of course Mickey and Minnie passed by too. Unfortunately the show was over before you know it. Too short! But we were here for other reasons. After all this it was time for the voting of the resolutions. Boring stuff, but it has to be done. For those interested we advice to visit the Euro Disney S.C.A. website to see what the shareholders had to vote for. Mostly related to accepting the fiscal balance, shares related items and accepting the people to stay on the supervisory board. Once that was out of the way the real fun started. The Q&A. Well, real fun! Not really. As usual many of the same people as the previous year came to the front and didn’t really bring anything to the table. They had personal issues, and while they have the right to address them, this is not the right platform. Luckily there were people who did bring up valid points and questions. Some wanted to know why the share price is so low as he thought it was under valuated, when can we expect dividend, the future of the company and more. But Philippe Gass did get annoyed with a couple of the people. One of them going as far as to say that nothing is done here and they are puppets of the Disney company in the US. Philippe defended the company strongly advising the man to stop and look for conspiracy where there are none. Shareholders were on Mr. Gas side and when that man return to his place words with other shareholders were exchanged who thought it would be a better idea for him to leave. This year was a lot shorter than the usual years. The one negative thing was the venue. Cinemagique is not really the right place. Let’s hope next year back in one of the hotels with a nice breakfast and nicer gifts. Although free park tickets were given to all attending, and that is always great. Tom Fitzgerald, Executive VP & Senior Creative Executive, Walt Disney Imagineering gave a presentation about the new Ratatouille: L’Aventure Totalement Toquée de Rémy ride at this morning’s Annual General Meeting. Today is the Euro Disney S.C.A. annual shareholders meeting and here is a short video showing the resorts key facts and figures for 2013.